Are you interested in joining Delta Tau Delta? We have a lot of information to offer that will help you in your decision. Check the calendar, you are invited to any of our events, and feel free contact us if you have any questions. What is Delta Tau Delta? Delta Tau Delta is a unique organization that fosters meaningful friendships, useful life-skills, and quality academics in order to produce well-rounded men who are ready to lead the working world. Delta Tau Delta at Missouri S&T is a house of 30 men on 6.5 acres of land with a sand volleyball pit, bonfire pit, softball diamond, and a football/soccer field for the use of the house’s members. All members of Delta Tau Delta are provided a desk, chair, dresser, a bed, and plenty of closet space. The house has its own laundry and kitchen facilities, which are fully equipped. We have a full time cook who makes great meals every day. Delta Tau Delta also provides a television lounge area, a soda machine, and plenty of other leisure items. 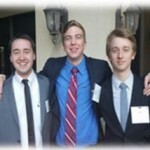 Delta Tau Delta can offer you an expanded college experience. As a member of Delta Tau Delta you will make the kind of friendships that last lifetimes. Being men of high character, we do not believe in disrespectful behavior. 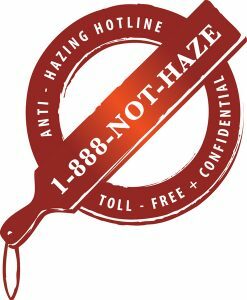 Hazing is a form of humiliation and disrespect that is not allowed or tolerated. As a member of Delta Tau Delta you will be aided in your pursuit of your goals and ambitions. Through demonstration of responsibility and aptitude (i.e. 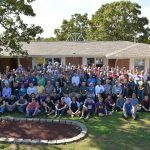 handling a small budget for a house project, or maintaining a clean living space), each man is given the opportunity to become a leader within the organization. As a result of this process, our chapter was recognized as being in the top 20% overall of all Delt chapters nationwide in 2013. This great honor was the result of quality leadership and dedication to service, campus involvement, academics, and fiscal transparency. Finally, a man cannot claim or maintain the Delt name without quality academics. 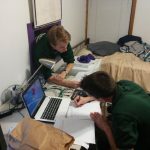 Missouri S&T is a hard school, and learning to cope with the difficult course material presented can be an arduous task. At Epsilon Nu, we promote a studious atmosphere by setting quiet hours from 7pm to 7am – this is a time when members are encouraged to complete coursework and drop the video games. Additionally, help for most courses is just a few steps down the hallway. We are proud to be Delts and we are always looking for men of the highest character to welcome into the Brotherhood of Delta Tau Delta. Becoming a Delt is based on a decision made by the chapter. The chapter makes the decision based on academics, personality, and knowledge of the person. If the prospective member has a bad attitude and poor grades, chances are that he is not the type of guy that would make a good Delt. Once the chapter decides that a person is qualified, the prospective member is given a bid card. A bid card is a formal invitation to join a fraternity. When a prospective member is given a bid card by a member, we use the card to say that we have reserved a place for you in the next semester in our house. When you sign a bid card we take it as your word that you will join this house. We believe that a bid card is a serious step towards joining Delta Tau Delta and anyone who signs a bid card must not have any second guesses. You should get all of your questions answered before signing a bid card. 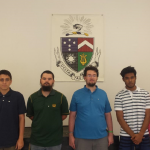 Before joining Delta Tau Delta you should know a few things. All new members are expected to participate in weekly new member meetings. The purpose of these meetings are to learn about what it means to be a Delt, as well as some of our local and national history. The meetings are short and will in no way interfere with school work. Also, each new member class works together on a new member class project of their choice. In order to complete the project, the class raises money during alumni events. In addition to these activities, new members will make a personal paddle (these are purely for historical tradition), and a new member class paddle, as well as a class caduceus. All other work, such as house cleaning and philanthropy work, is shared by all members of Delta Tau Delta equally and fairly. physical or mental well-being or personal dignity. Still, isolated incidents still occur from time to time and raise doubts about fraternities and their activites. At Delta Tau Delta, we find hazing unthinkable. It is the antithesis of brotherhood, a mockery of both our ideals and values, and a complete misrepresentation of the experiences obtained from fraternity life. Hazing is humiliating and inhuman. It cannot and will not be tolerated by Epsilon Nu or Missouri S&T.